John Nathaniel Cumings was born Maryborough, Queensland about 1868 – 69, the only son of Benjamin and Abigail Cumings originally from London, England. John moved with members of his family to New Zealand, possibly 1890-1891[i]. The Cumings family farmed ‘Tawa Station’ also known as the ‘Cumings Homestead' close to the area now occupied by the Tawa Railway Station. 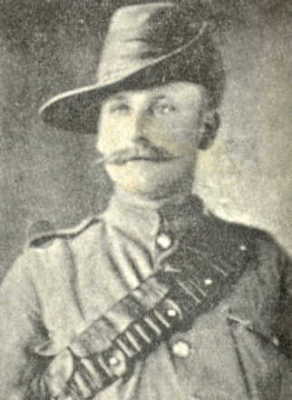 John Nathaniel Cumings answered the call in August 1899 for men to fill positions in the 1st New Zealand Contingent to serve in the 2nd Anglo-Boer War. John signed his enlistment papers on the 21st October 1899 indicating he was farming with his father at Tawa Flat, Manawatu Line. John’s age was initially noted as 30 but he may have been older. 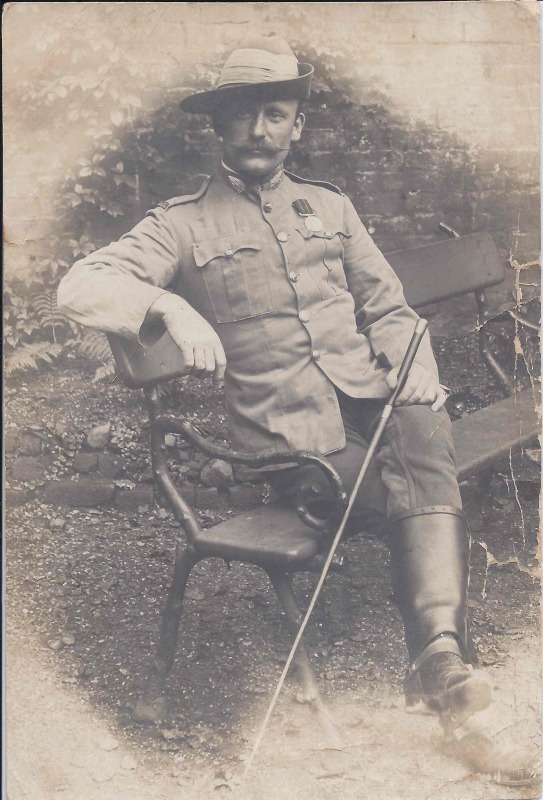 SA84 Shoeing Smith John Nathaniel Cumings sailed with the 1st (North Island) Company, 1st New Zealand Contingent. Also sailing with the 1st Company were two other Tawa Flat men, SA82 Trooper Denis Joseph Ryan and SA79 Trooper Charles Newman. Also with the 'Firsts' were SA137 Trooper Joe Gestro from Paremata and SA9 Corporal Bould from Johnsonville. The ceremony to celebrate the annexation of the Transvaal was held on 25th October 1900, following which the majority of the 1st Contingent left Pretoria for Cape Town and the return to New Zealand. returning to work again for his father at Tawa Flat. “Firsts” attending their annual gathering. and Grace Maude in 1914. John Nathaniel Cumings died in Eastbourne, Wellington in 1951 aged 81 and Ethel died in 1968. There are a variety of spelling of Cumings including Cummins and Cummings – Cumings is most commonly used. Clasps for the Queen’s South Africa Medal are read from the bottom Relief of Kimberley, Paadeberg, Driefontien, Transvaal, Wittenberg. Three Tawa families Cumings, Morgan and Newman list as being members of the Primitive Methodists. [i] Farewell Social Gathering (30th April 1906) Evening Post.